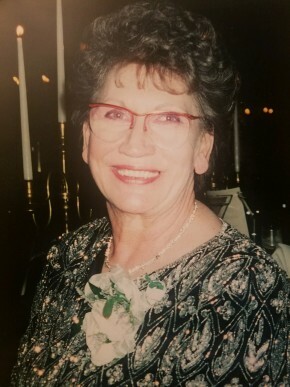 Marion Josie Benker, of Middletown, passed away at home on May 20, 2018. She was 82 years old. Born on March 23, 1936 in Huntington, Vermont, she was the daughter of the late William H. Knight and Hazel Walton. She was one of 11 children. She was married to the late David J. Benker (1995). Before retiring, Marion was a self-employed Caregiver. As one of Jehovah’s Witnesses, she was regularly involved in volunteer work which included building of houses of worship and disaster relief work internationally. She is survived by her children: David Masi, Tina Reinneck, Geoffrey Benker, Sabrina Farrish, Robert Benker, Joyelle Benker, David Benker and Daniel Benker. She had 11 grandchildren: Raymond Reinneck, Roy Reinneck, Richard Reinneck, Kamree Farrish, Brielle Farrish, Savana Benker, Olivia Benker, Landon Benker, Harrison Benker, Scarlett Benker, Hudson Benker and four great grandchildren. She was predeceased by Clayton Benker, and Dana Benker. A memorial service will be held on Saturday, June 2, at 2:00 p.m. at the Kingdom Hall of Jehovahs Witnesses, 17 Ryerson Road, Warwick. At the time of funeral service we commemorate and reflect on the life of Marion Benker. In the days, weeks and months ahead it will be a comfort to family of Marion Benker to continue to remember a life well lived. Please select a date on the Calendar of Care to be reminded via email to reach out and continue the caring for family of Marion.